Samsung has been working on its foldable smartphone for years now. The company recently revealed it's foldable phone at the annual developer conference in San Francisco. The device sports a 4.6-inch display when folded and a 7.3-inch display when unfolded. The phone which is called the Galaxy F will come with two displays. Folding the phone inward will make it look like a regular phone with a 4.58" display with a resolution of 840x1960pixels and a 21:9 aspect ratio, also with 420ppi. Unfolding the phone will however turn it into a tablet with 7.3-inch infinity with 1536x2152pixels resolution, 420ppi and 4.2:3 aspect ratio. 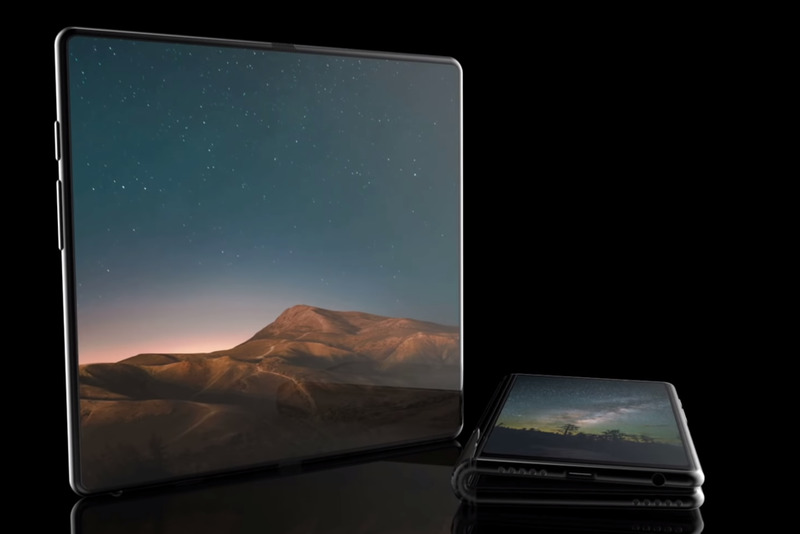 According to report, Samsung will launch the foldable smartphone alongside the Galaxy S10 series in March of next year 2019. The phone won't be cheap at all as it's expected to cost around $1,770 USD which is around N650,000.